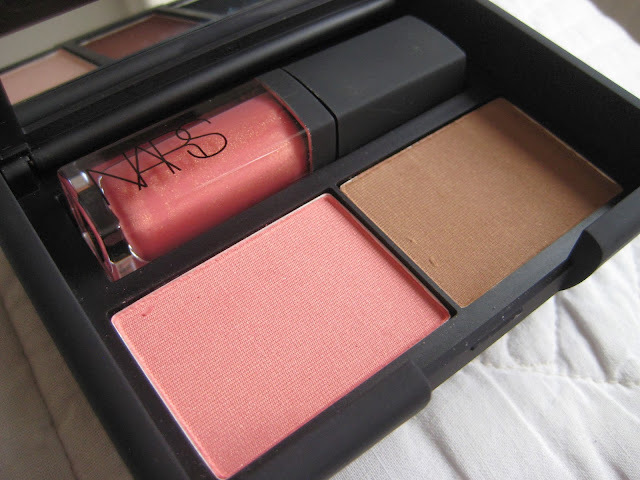 After having received my first NARS product last summer, I’ve been loving NARS products. The packaging is so pretty and so are the products inside of course. 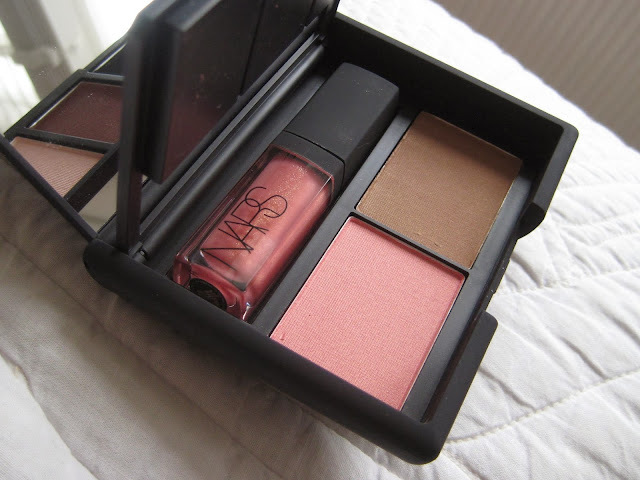 So as a little “treat yourself” thing after my exam and deadlines, I ordered some NARS goodies on Asos. There was a 20% discount, which made it hard to resist. One of the things I got is the NARS Crime of Passion face kit. This is a limited edition palette from the NARS x Guy Bourdin collection. I understand there has been some controversy around this photographer and the collaboration, but to be honest I had never even heard of him (I think the red name kind of ruins the sleek packaging). The eyeshadow layer opens up and reveals the blush and bronzer. The lipgloss is built in between the two layers. I’ve never had this kind of palette, which contains different products, but this would be perfect to bring along on a holiday. I only need a foundation, powder, mascara, eyebrow powder, brushes and this kit and I'm pretty much ready to go. I bought this palette mostly because of the red-brown eyeshadow (always wanted to try that type of colour), the blush and bronzer, which are some of NARS' best sellers. The bronzer on its own already costs £26, so I thought this palette was quite good value at £35 minus 20% (so £28; I love Asos!). I have only used the products once so far but I’ll probably write about this palette once I’ve used it more. I believe this palette has unfortunately been sold out by now, however you might be able to find one online or at a NARS counter.